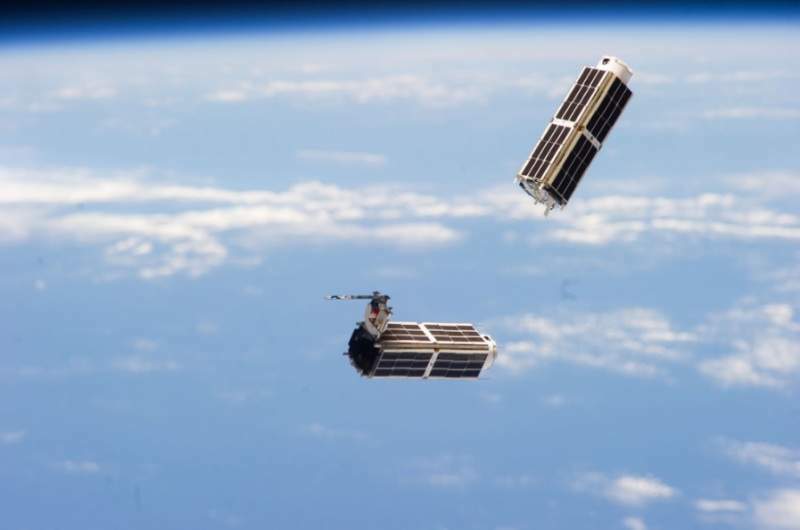 Tiny satellites deployed from the International Space Station. Credit: NASA Johnson. US-based company EXOS Aerospace Systems and Technologies is set to conduct the test flight of its reusable Suborbital Autonomous Rocket with GuidancE (SARGE) rocket on 25 August. To be launched from Spaceport America in New Mexico, the rocket has already completed the fully integrated hover testing. A successful Pathfinder test flight of the SARGE reusable system will bolster the firm’s plan to use this technology as the design basis of their reusable (first stage) of a 100-200kg, 200-400km capable orbital-class vehicle. This also takes the company a step closer to offering suborbital services to the micro nano and cube sat community by giving access to test up to 50kg satellites in space – of 3-4 minutes, and then return them to the launch site – just 20 min after launch. EXOS Aerospace Systems and Technologies COO John Quinn said: “We look forward to enabling space research, manufacturing, and educational opportunity for the world by providing frequent flights that provide fast and affordable access to space. “We are even more excited to reveal our plans for our Jaguar Reusable (first stage) LEO launcher. Since our SARGE rocket is designed for reusability, it is proving to be an excellent risk mitigation platform for our orbital technology development program and helping to drive space access costs down. Both SARGE and Jaguar will also use Nasa’s Morpheus flight code, which was obtained by EXOS through a space act agreement and was amended by a team of scientists from EXOS, Intuitive Machines, C-Squared Systems, Helios, and XISP.